People rejoiced when 26 pirates met their end. On July 19, 1723, officials in Newport, R.I., hanged 26 sailors for piracy before a jubilant crowd. They comprised half of all executions in Rhode Island between 1673 and February 13, 1845. Puritan minister Cotton Mather was pleased to get the news in Boston, 70 miles to the north. “It was the hand of the Glorious God which brought these criminals to die," he thundered from his pulpit. “Take a due notice of what you have seen in the way which these wicked men have trodden, and in the fearful end in which their way has brought them to." English pirate Edward Low and his sidekick Charles Harris were raiding ships along trade routes from the Caribbean to New England in the spring of 1723. They left a bloody wake, having massacred an entire crew, sunk ships, cut off prisoners’ ears and burned their flesh to the bone so they would reveal where they had hidden gold and silver. Low once cut off a ship captain’s lips, roasted them and forced him to eat them while hot. Then he murdered his victim. He forced another ship's officer to eat the heart of another. Low captured at least 100 ships during his three-year pirate career. How he met his end is unclear. Some say he died peacefully in Brazil, others claim he was hanged in Martinique and still others believe he died in a shipwreck. That spring Low and Harris in two vessels sailed north from the Caribbean. On June 10, 1723, they spotted a ship sailing to leeward off Long Island. They gave chase, only to find the vessel was a 20-gun warship HMS Greyhound. Low’s ship had about 70 men and 10 cannon, while Harris had about 50 men and eight big guns. The pirates chased the Greyhound and ordered her to surrender. The captain of the British warship refused and the battle was underway. After a day of fighting, the Greyhound captured Harris’ ship, while Low managed to escape. Most of the 35 pirates who survived the battle were taken to Newport, where they were tried, convicted and sentenced to death. Two were reprieved because they had been forced into piracy. But another sailor who joined Low under threat of torture was hanged along with the rest. The 26 pirates were hanged on Gravelly Point with their captured pirate flag attached to the gallows. People from New York to Boston celebrated the deaths of the 26 pirates. If you enjoyed this story about 26 pirates, you may also like to read about Black Sam Bellamy, the wealthy gentleman pirate who harmed few of his victims. 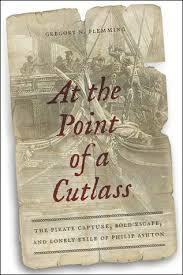 With thanks to At the Point of a Cutlass by Greg Flemming. This story about the hanging of 26 pirates was updated in 2018.